Material: Shell fabric: 62% polyester, 33% viscose, 5% elastane. Stylish coat in a soft fabric from HAPPY HOLLY. 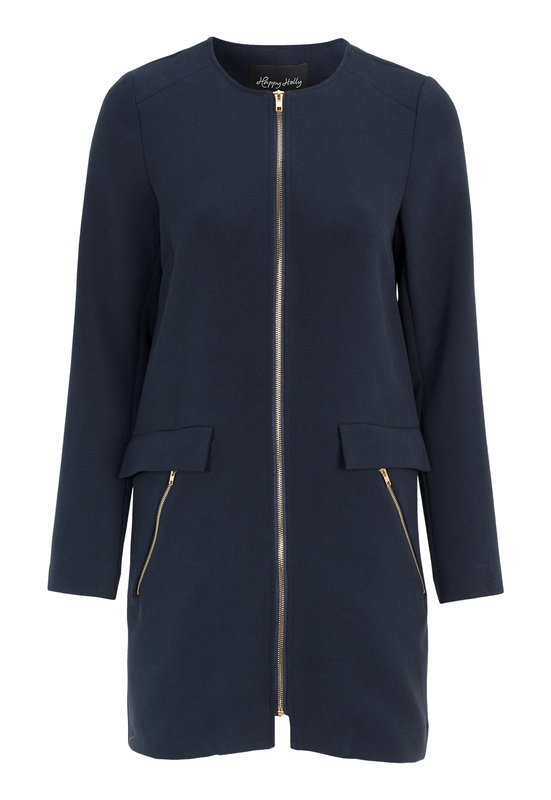 The coat has two side pockets with decorative zippers and a round neckline. Length from shoulder: 86 cm, bust 98 cm in size 36/38.